I’ve been going to MacWorld Expo for years now, here in San Francisco and back in New York when I still lived in Brooklyn and MacWorld still saw fit to have an East Coast show (it was also in Boston some years). Two years ago Apple announced that they’d no longer be participating in the event, which saddened many and confused quite a few who assumed MacWorld was an Apple event. Last year’s show, minus Apple but still staged by IDG, was for me a pretty depressing affair. 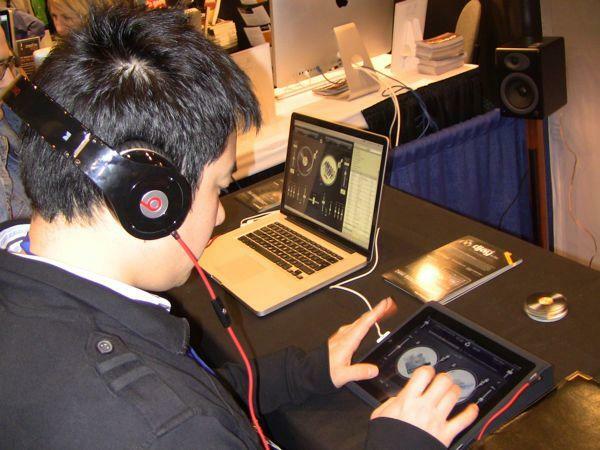 Even with Apple in the house, MWSF ’09 was largely “iPod World,” dominated by cases and screen protectors – though there was at least a giant central booth showing off the new MacBook Airs and the latest in OS X software. Without Apple in the house, MWSF ’10 felt like a ghost town inhabited mainly by, you guessed it, iPod (and iPhone) cases. My vividest memory of the show is eating lunch with a colleague in the international food court of a shopping center six blocks away. Sad, huh? – Venue: The show shifted from Moscone West to the smaller Moscone South space. While seen by some as a downgrade, the smaller space actually gave the Expo Hall a cozy, busy feeling as opposed to the empty, desolate vibe of too few exhibitors in too big a room from last year. – Costs: One exhibitor told me that IDG significantly cut the price of Expo Hall stands for this year. Sounds like a good move considering the the Hall was full and I saw more than one company rep running to secure a booth at next year’s show during on-site rebooking. – iPad: The biggest lift from a show-goers standpoint this year had to be the emergence of iPad as a force majeur in the tablet, nay personal computing in general. MacWorld wasn’t dominated by iPad, but the device certainly fills a slot in Apple’s ecosystem that’s “bigger than an iPod/iPhone, smaller than OS X” when it comes to everything from accessories to software. iPad apps can do more than iPhone apps, but they’re fresher, newer and cheaper than OS X software. iPad accessories are a bit more involved than iPhone accessories, but they’re fresher, newer and cheaper than MacBook and iMac peripherals. Everyone from music software developers to external battery manufacturers climbed aboard the iPad train for this year’s MacWorld, showing off sophisticated virtual instrument and amp modeling apps, external power solutions, and modular case/mounting solutions to strap your iPad to a kitchen wall, car headrest, or your own thigh. Whether or not the iPad turns out to be the first step in Apple’s near-term vision of the touch-based future of personal computing (and I believe it will be), there’s no doubt that the tablet is quickly turning into much more than a mere “supersized iPhone.” The larger display, faster processor, and more spacious onboard storage of the first-gen iPad has gotten the device into the hands of folks who want more than a smartphone (literally or figuratively) but enjoy the casual, hands-on nature of touchscreen computing. I was most intrigued by a number of new audio apps for iOS, most of which are either iPad-only or at least do a little bit more on the Pad than the Phone/Pod. Granted, I’m a musician and so biased towards liking gear that makes noise or lets me waste a lot of time tweaking the noise it makes, but I saw quite a few things that do a lot with the relatively little that Apple’s opened up to developers in the way of audio and MIDI I/O. 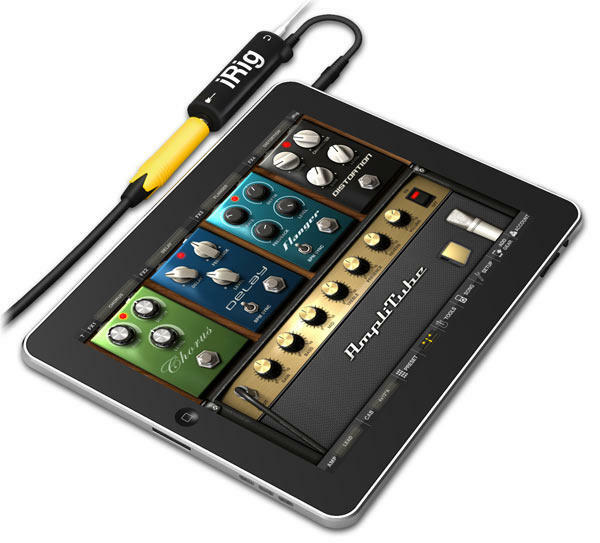 App-and-hardware systems like IK Multimedia’s iRig let guitarists jack into their iPad and use it as a headphone-based practice rig based on some pretty sophisticated amp modeling software. And algoriddim’s djay app for iPad is just plain cool. Everyone expects iPad 2 to feature cameras and some other hardware upgrades. If Apple sees fit to open up the device’s I/O systems to developers by way of enhanced hardware APIs and inputs (even just greater access to the standard dock connector), we could easily see the next-gen iPad looking more and more like our current model of a personal computer, in terms of hardware expandability. Of course that may not be what Apple has in mind for the future of a consumer tablet; we may, instead, wind up with more and more touch input on MacBooks and iMacs instead of an expandable iPad. Either way, there’s no doubt that iPad has quickly made itself a cornerstone of Apple’s product line. Thankfully, MacWorld Expo was able to hitch a ride on iPad’s star and use its momentum to successfully continue its own transformation from the launch pad for new Apple products to a smaller but still fun and worthwhile place for consumers and insiders alike to keep pace with how Apple’s latest move us affecting the myriad cottage industries springing up in its wake.